This time around, we’re looking at what many would consider to be that drink’s closest rival for the title of “most classic” – the stately Manhattan. Like the Old Fashioned, the Manhattan dates back to the 19th century, but its specific historical origins are similarly murky. Fortunately, unlike the Old Fashioned, there is much greater consensus about how to prepare this delicious beverage – and the recipe itself couldn’t be simpler: To make one, just combine 2 parts whiskey with 1 part sweet vermouth, plus a few dashes of bitters (Angostura or similar). Some folks like to use bourbon, but we find it too sweet – use good rye instead. Add all ingredients (except garnish) to a cocktail shaker equipped with ice. Stir well and strain into an ARTEL cocktail glass. 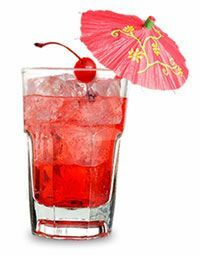 Garnish with lemon peel or a single Luxardo cherry, if desired.